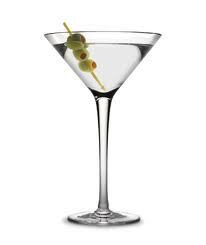 There are as many storied origins of the martini as there are ways to make one… Some believe that a New York bartender named Martini invented the drink in 1912 while some believe it to be invented in San Francisco by Professor Jerry Thomas around 1850 for a miner on his way to Martinez, California. Lore says that a miner placed a nugget of gold on Jerry’s bar and challenged him to concoct something special. The result was the Martinez, the said prototype of the Martini. The Martinez was first published in The Bartenders Guide in 1887, the first bartenders manual of its kind and was made with a full wine glass of sweet vermouth, one (1) ounce of Old Tom Gin, some bitters and a dash or two of maraschino. In those days, if the drink weren’t sweet enough, gum syrup was added.